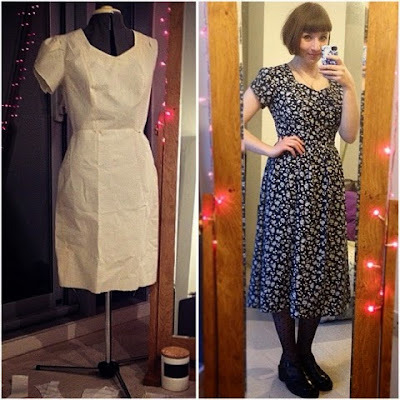 No panic sewing here! This post should actually be titled '3 things that I definitely don't need to make in time for Me Made May but want to anyway', but that isn't particularly catchy. I actually have a bit of time off work and I'm going to hopefully use it to get a few things made from my sewing list. Me Made May is obviously intended to be fun, but I particularly like the way that it makes people re-evaluate the things they've made and the way that they wear them. 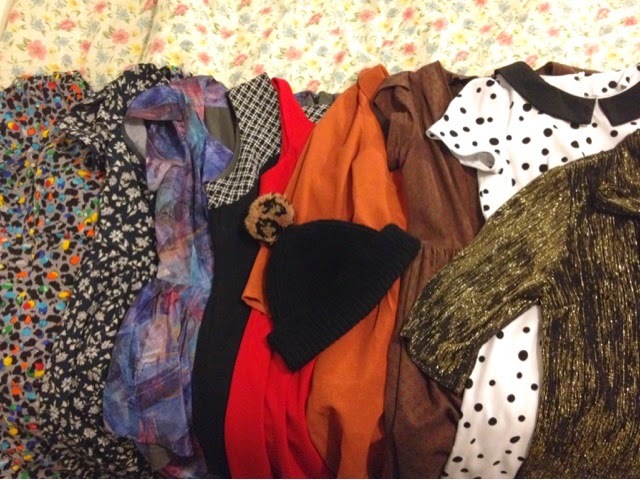 Just the thought of it made me grab this selection/jumble of handmade from my wardrobe, after which, I felt a) proud that I'd made so much in the past year, and b) happy to rescue the ones that had got lost in the depths of the wardrobe! I've made a few dresses from a self drafted pattern that I made at evening school, and achieving the perfect fitting bodice is pretty much my biggest sewing achievement. The Lilou from Love at First Stitch! 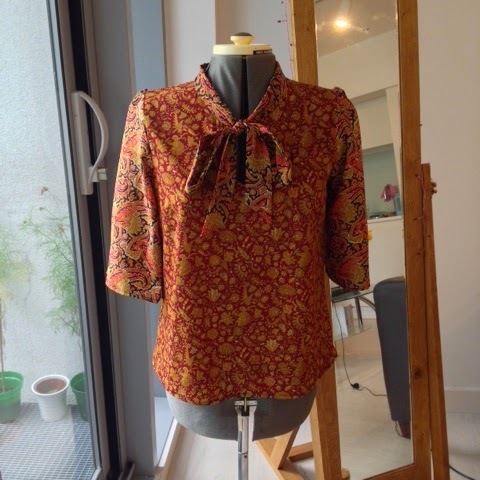 It will just take a bit of tweaking to get those lovely pleats to match the princess seams of the bodice (and I might add a bit of length to it too) but I think it will look fab! 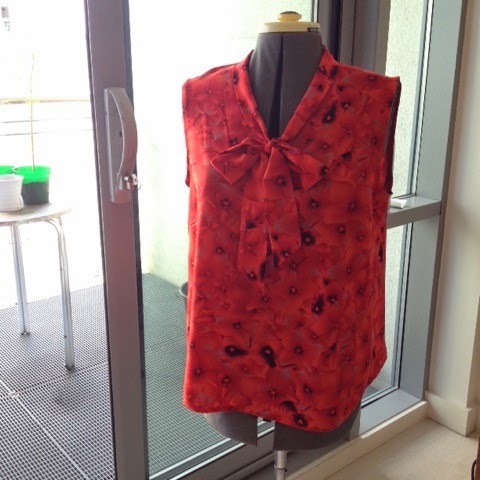 I like to sew using exciting fabrics because it lets me make something totally different to the garments you see in the shops. Although I have been known to wear double pattern, I think it's time I made a couple of plain tops (most likely Lottie's), mainly for the sake of other people's vision. But seriously, having a plain blouse to wear with a jazzy handmade skirt will make head-to-toe me-made a much more wearable option. Not really my usual style, but I think the most challenging part of Me Made May could be the (hopefully sunny) holiday I'm taking at the end of the month, so some sort of cover up would be great. The pattern and instructions to make this lace jacket/cover up were in Love Sewing issue 8 (the Christmas issue with the free Skater Dress pattern). I'm putting a slight twist on it by using a sheer black fabric with a raised geometric pattern. Visit So Zo..What do you know? and her Me Made May '15 post to sign up too! I'm nervous about participating in MMM in case I don't have enough wearable handmades, but you've totally inspired me to sort out my wardrobe and see what I can do with what I've got and what I need to make! 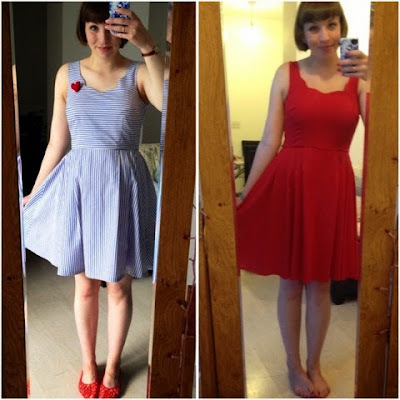 I love your self drafted bodice - it's so gorgeous! You have lots of lovely handmade pieces to wear through MMM this year. I really wanted to take part this year but I really don't have enough pieces yet. Maybe next year!